Square top picket dimensions: 7/16 in. x 6-1/2 in. x 69 in. 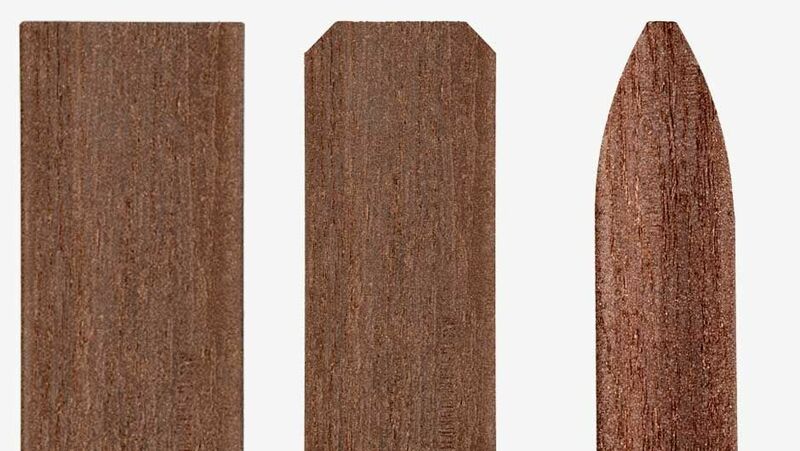 Dog-ear picket dimensions: 7/16 in. x 4-5/8 in. x 69 in. Gothic picket dimensions: 7/16 in. x 3-1/2 in. x 39 in.